Chirag Kumar Paswan, son of Lok Jan Shakti Party (LJP) chief Ram Vilas Paswan, won from Jamui constituency in Bihar. He garnered 285354 votes, defeating his closest rival Sudhansu Shekhar Bhaskar of RJD by a margin of 85947 votes. 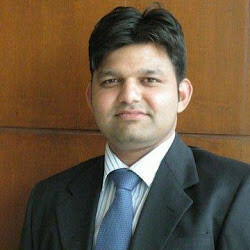 Uday Narain Choudhary of JD(U) came third with 198599 votes. BJP has an alliance with LJP in Bihar. In last Lok Sabha elections in 2009, this seat was won by Bhudeo Choudhary of JD(U) who had garnered 178560 votes, defeating Shyam Rajak of RJD by a slim margin of 29797 votes. Third position was obtained by INC's Ashok Choudhary who had obtained 71267 votes. Jamui district, reserved for candidates of the scheduled caste category, is one of the 40 Lok Sabha constituencies in the eastern Indian state of Bihar. The Jamui Parliamentary constituency (constituency number 40) has a total of 1,404,016 electorates out of which 651,501 are females and 752,515 are males according to Election Commission of India 2009 reports. Belonging to the comparatively newly created Jamui district which was formed in 1991 after being separated from the Munger district, the Jamui parliamentary constituency is well known as one of the most politically stable constituencies of Bihar. Jamui constituency consists of six assembly constituencies, out of which four assembly segments belong to the Jamui district, while one constituency is spread across the Munger district and one assembly segment belongs to the Sheikhpura district. The Sikandra assembly segment, unlike the five other assembly segments which belong to this region, is reserved for the so-called marginalized sections of the society. The Jamui constituency was dissolved after the Lok Sabha elections in 1971. According to the Delimitation of Parliamentary and Constituencies Order of 2008, this parliamentary constituency of Jamui again came into existence in 2008. The Jamui district has been recognized as one of the 36 districts in Bihar that are economically dependent on special schemes of the government such as the Backward Regions Grant Fund Programme. List of winner/current and runner up MPs Jamui Parliamentary Constituency. The table below represents the names of all the winning and runner up MPs of Jamui parliamentary constituency of all the years from the starting until now . It also shows the number of votes secured by each MP and the name of the political party they belong to. The current sitting member of parliament of the Jamui constituency is Chirag Kumar Paswan of LJP. The table below shows the list of all the Assembly Constituencies that fall in Jamui parliamentary constituency.